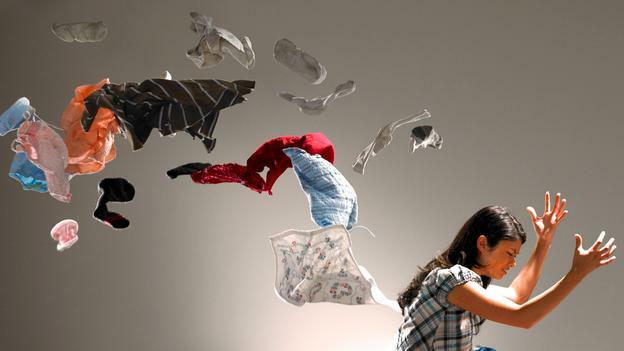 How Can CKD Patients Declutter Their Life To Find Peace of Mind and Happiness? Unless you are one of the privileged and incredibly organized few, everyone can attest to how inconvenient and annoying it is when you have to turn your house upside down just to find one thing. Due to fits of weakness, tiredness, and depression you will, as a Chronic Kidney Disease (CKD) patient, likely accumulate clutter gradually and subtly until one day you can open a closet door to be met face-to-face with a whole bunch of "stuff." Physical, visible clutter can lead to psychological distress and confusion, especially if it is allowed to develop into a habit and spills over into other areas of your life. In order to be truly clear minded, more productive, less stressed, healthier, and more successful, CKD patients must be willing to declutter their lives both physically and mentally. Simplify your life and clear all the clutter that serves as an obstacle to your personal well being and you will begin to find your peace of mind. Getting rid of clutter is very simple if you just go through your stuff, one section, closet, drawer, or shelf at a time, and get rid of everything that you do not need and use often. It is amazing how much you can get through if you just do it in small fifteen minute increments. Knowing that you will not have to spend hours working on an organizational project might make it easier to manage and ultimately complete. Recommended Reading: Can a Person Live a Good Long Life on Dialysis? Create a special time and place to read your regular mail and emails regularly. During the appointed time open your mail and immediately take action on it: file bills, shred personal statements, toss junk mail, respond to emails. Commit to looking at each piece of mail, dealing with it and not looking back. Save time and frustration by categorizing and finding a place for your papers instead of putting them in horizontal stacks at your home. Do not forget to purge regularly by checking expiration dates on medicines, vitamins and supplements. Stick to the "when in doubt throw it away rule." Although decluttering your home is a great place to start, there is still more that you can do to achieve the state of mind that you are searching for. Learn to let go of troublesome people and situations from your life. It will take courage to actually cut these people and things out of your life, but if they only add to your stress and anxiety you will feel much more fulfilled once you are able to concentrate on people and things that make you happy! Our lives are often too clutterd with all of the commitments that we need to do at home, work, church, with friends and family, and with hobbies. You will benefit from taking a close look at each area of your life and begin to reduce your commitments where possible. If you have not already, learn how to say "no" and decline offers because if you eliminate the things that do not bring you joy or value, you will have more time for the things and people that do. Also, group necessary activities on one day that you typically feel well. For instance, instead of doing your laundry several times throughout the week, do it all on one day. It’s helpful to write down all of your weekly and daily obligations, chores, and tasks, and then plan around dialysis days, average recovery times, and personal time you should take for yourself. You will find that these simple strategies will bring a new sense of calm and order into your life. Decluttering your life and instilling order and harmony in your home are two of the most amazing things you can do for yourself and your loved ones! You must be willing to look inward and take stock of our yourself to feel emotionally rejuvenated and maintain high spirits. By doing this KidneyBuzz.com is confident that you will be able to create a long-term clutter free lifestyle and find the ever elusive peace of mind. "Decluttering Your Mind in 6 Simple Steps." Ezinearticles. "How to Declutter Your Life and Reduce Stress." Lifehack. "15 Great Decluttering Tips." Zen Habits.